If you love adventure and you want to remember your journey in Prague, skydiving is a great opportinity to do so. This activity takes place close to Prague at Pribram airport. 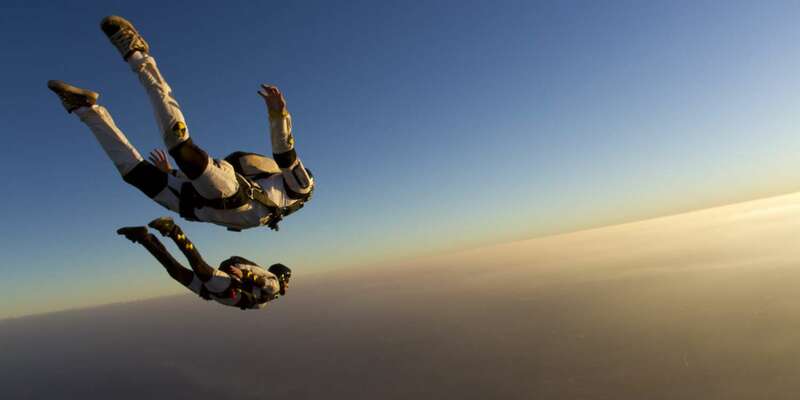 You don’t need any course or a medical check up, you will receive a short and easy briefing before the jump and then you will be able to experience the same as a skydiver does. You will be hooked to a professional tandem pilot so no worries needed, he will „take care“ of you. The plane climbs into an altitude of around 4000 meters which takes about 15 minutes so you can enjoy the beatiful czech countryside. The rising level of adrenaline during the flight, the amazing feeling during the jump, the opening of the parachute and at the end a soft landing are the guarantee of a great time. 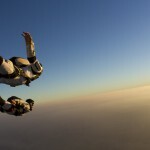 Skydiving presents one of the best adrenaline challenges that you can experience, so get ready for a jump of your life! Please note that this activity is weather dependant.